Brickton Montessori School is accredited by the American Montessori Society (AMS), the Independent Schools Association of the Central States (ISACS), and is affiliated with the Association of Illinois Montessori Schools (AIMS). It is registered with the Illinois State Board of Education and has achieved full recognition status as a Non-Public School. Brickton is a member of the Illinois Non-Public School Association, and the National Council for Private School Accreditation. It holds licenses from the Illinois Department of Children and Family Services and the City of Chicago. 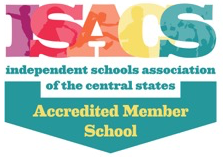 What does it mean for a school to be accredited by ISACS? For more information, read this article.